As a cosmopolitan city in South India, Chennai has much ado about the fashion. In fact, fashion in Chennai is the sustenance of its modern lifestyle. It is making its presence felt in the fashion circuit of the country as well with the perfect merger of classic traditional and trendy modern designs that it offers.The strong impact of Kollywood, Tamil Film industry, has left its indelible mark on the style and couture of this city. Over the years, fashion in Chennai has really come of age with ace designers and celebrities taking inspiration from the design aesthetics of the city. The traditional wear of this region has an evident influence on the fashion industry but the younger crop of designers is keenly combining these styles with the western culture to invent an all new fashion statement that is meant to stay for long. For a city brimming with caliber to top the charts, fashion events and exhibitions are just an order of the day. The pristine beauty and immaculate styling of the haute couture here, has made it a preferred fashion destination for the leading designers, fashion houses, and the budding talent of this region as well. The most vivid and affluent fashion event in the city is Chennai International Fashion Week, participated by the top designers from South and other parts of the country. With the picture perfect setting of stage and wonderful ambiance ready to take on the fever of fashion, models sashay down the ramp in the ensembles designed by the fashion stylists of Chennai and other parts of India, who participate in this grand event, quite enthusiastically. 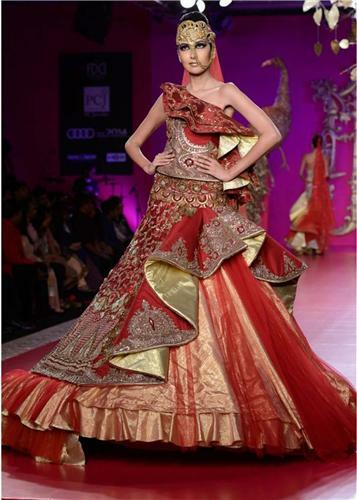 This week long festival of fashion in Chennai embarks upon the blend of classic and contemporary that it showcases. Glamorous Chennai is added more glitz by the amazing fashion houses that it has. With the city making its foray into multi- million fashion industry of the country with fast speed, designer boutiques and fashion houses in Chennai are ready to take on the challenges posed by the established names of industry. They are creating ripples in this fraternity with their outstanding and innovative design concepts that are acceptable to everyone due to the factor of comfort that they have. Most of the fashion houses in Chennai cater to the elite class of celebrities from Kollywood and other prominent people with their saucy designs ingrained into breezy and vibrant fabrics underlined with the effervescent South Indian styles. 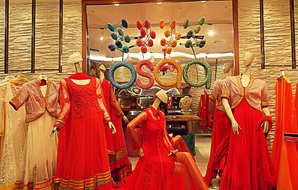 To know more about the Fashion Houses in Chennai, Click Here. With the city booming in fashion, it is quite obvious that the young design brigade of Chennai is all set to share the center stage of national fashion with great. Whether it is the Indo Western styles or traditional wear of the region, these designers are luring the fashion enthusiasts with their constant innovations. Their design studios have become the Mecca for upcoming fashion models and the bubbly young generation of the city yearning to craft their own class of fashion in Chennai. Chennai surely has its share in Indian fashion industry, especially post the lungi craze evoked in the fashion circuits after Chennai Express, the movie. In fact, lungi is the latest fad ruling the roost in fashion in entire country. Most of the designers are going all experimental to carve out their individual and unique version of this open drape single garment, which is also called sarong.